IP finance: Is the buzz light years away? "... Let’s start with the worst kind of example, licensing as a non-strategic, opportunistic tactic whose primary purpose is (perhaps) protecting against trademark infringement while generating royalties. While many would hope that such an approach was outdated, a quick wander down these aisles will prove that in too many cases it is still alive and well. Completely transactional in focus, this approach to licensing is the purview of lawyers and agents (as well as the intellectual property owners themselves) of the “Let’s Make A Deal… Any Deal” variety. Furthermore, this approach is scattershot and does little for a brand, except for slapping its most valuable asset—its trademarks—on products that will be short-lived (if they live at all), with little connection to the brand’s equity and which do not resonate with the consumer as anything more than decoration. Such thoughtless executions are among the reasons that trademark licensing is below the radar of many (but not all) chief marketing officers and brand managers. Of course, this is not surprising given the lack of inspiration that characterizes these kinds of licensing programs. After all, today’s chief marketing officers have a lot on their plates. ... they have to successfully reach consumers who are increasingly adept at declining brands’ offers to participate in their lives. ... if you are lucky, you will run and take refuge in one of the aisles that showcases products with more exemplary approaches to brand licensing today. That’s where you’ll find sophisticated and savvy marketers who have already learned that in today’s fragmented media marketplace, strategic brand extension licensing is among the most authentic and credible forms of buzz marketing and, therefore, an integral part of the marketing mix for today’s most innovative brands. Licensing as buzz? Yes, when the licensing program matches or extends a brand to products so authentically that the brand enters consumers’ lives in ways that are unpredictable, but completely natural. If done properly, a consumer will have such a meaningful experience with the brand that they can’t resist sharing it with others. It’s the retail form of human media or user-generated content—authentic, relevant, and person-to-person. But unlike the more common notions of buzz, which are often fleeting, risky and not targeted, licensing-generated buzz can be long-term, controlled and highly-targeted. In addition to driving increased buzz or word of mouth, a smart brand extension strategy also increases awareness among a brand’s core audience and attracts new audiences, inspires loyalty and even generates revenue for the brand. In fact, according to The Licensing Letter, licensed products account for more than $12 million in retail sales per hour. Take, for example, the Jaguar pen brand extension. Designed by Jaguar’s own auto designers, but manufactured and sold under a license, the pens are sleek, high-end writing instruments that are reminiscent—in design at least—of the Jaguar automobile. Available at luxury retailers in Europe, the pens allow consumers to experience the Jaguar brand in an entirely new but credible way—shifting from the highway or the showroom to the high street and the boardroom. Every time a consumer uses it in front of friends or colleagues, he or she generates a “human media impression” and more importantly offers an implicit endorsement of the Jaguar brand. Is there anything more authentic? The program has been so successful that Jaguar is moving into luxuriously designed home furnishings, another logical, authentic, and on-brand extension. Are there risks associated with licensing-generated buzz? Yes, but the risks are completely different than those normally associated with buzz programs. The risk inherent in any licensing or brand extension is in not doing it right. At the end of the day any brand’s most important asset is the brand itself, and executing a shoddy or unsuccessful program can have negative repercussions that go beyond simply having an unsuccessful licensed product pulled from retailers’ shelves. But those risks can be navigated and mitigated if licensing is approached correctly. Before executing any licensing program it is important to not only identify your brand’s leverageable equities (tangible and intangible), but to conduct the proper due diligence you would perform before entering into any new marketplace or launching any new product. This includes evaluating the competitive landscape for each potential licensed product category, understanding the market dynamics and retail needs in the targeted categories, and gauging the ease of entry and the financial attractiveness of the potential licensed product categories. As many people lament the alleged end of brand marketing as we currently know it, I prefer to think we are at the beginning of a new chapter, a golden age if you will, where licensing-generated buzz will prove to be the most creative and effective form of marketing in a marketing-saturated society". Buzz marketing (a.k.a. viral or word-of-mouth marketing) is a valuable tool, to be sure. But it's not clear whether it's a means of establishing leverageable goodwill or a product of having done so. A problem also exists in that, while the equity in a brand -- hence its utility for securitisation or its subsequent value if sold -- is something that accrues to the brand owner, the brand manager's ability to keep his job depends upon his being able to point to a direct flow of here-and-now licensing income. It is clear that a balance between these competing interests is desirable in theory -- but how can it be struck in practice? Suggestions, anyone? I find Mr. Stone’s comments to be quite remarkable-when measured against his stable of clients and the information displayed on the Beanstalk website. Support the brand- by generating revenue streams and offering ongoing revenue potential and Protect the brand- through trademark registration and combating trademark infringers. Perhaps Beanstalk needs to adjust their image to conform to Mr. Stone’s comments. And there is also the matter of Beanstalk’s clients. At least the clients identified on their website. One can fairly ask: How much buzz has been generated by these brands: FORD, AJAX, JACK DANIELS, AT&T, HARLEY-DAVIDSON, VOLVO, STANLEY, US ARMY ? 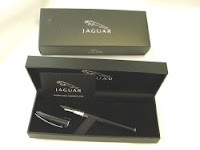 As for Jaguar- it is perhaps unkind- but true to state that a high quality pen may seem at odds with contemporary perceptions of Jaguar automobiles. Literally billions has been spent trying to produce cars worthy of the almost 50 year old perceptions of the Jaguar brand- so far without success. 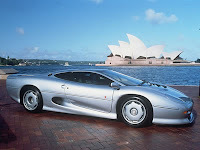 Jaguar is a minor player in the very profitable world of luxury cars. Why? Because the cars simply don’t measure up to ever higher customer expectations. For the Jaguar brand to regain its stature means more than a viral marketing campaign. Those who own the company must produce a car that is better than the competition at a lower price. After so many years of false promises nothing less will do. Can the brand help in this process? Frankly, I doubt it. For most products other than ephemeral goods, the brand can support the product but the product defines the brand. Though I’m biased, being a Beanstalker, I don’t agree that Michael’s article was at all a condemnation of licensing mainly as a royalty-generating program. Rather, I think Michael was noting that licensing should be done carefully, not hastily for a quick buck (which some would argue is not worth much these days anyway!). If done properly, all three goals (promote, support, and protect) are met. If done solely for revenue, but without thought to the value of the brand extension, savvy consumers will lose trust in the brand, and will likely avoid the licensed products and possibly even the “core” unlicensed products. Ford, for example, is squarely and successfully in the category of client that is focused on revenue generation, but also ensures that all licensing endeavors will build up the consumer goodwill and not overextend the brand. The mary-kateandashley brand, now in its 8th year, is another example: when the brand was launched, products may have sold faster by featuring images of Ashley and Mary-Kate. However, celebrity-branded products focused on the image of the celebrity tend to fade quickly. Instead, the decision was made to focus the brand on fashion and style, using Ashley’s and Mary-Kate’s images only on the hangtags or packaging (but not on the products).